This is not intended as a rant. I don’t intend to offend any friends or colleagues who I respect greatly, but with whom I may disagree strongly on politics. It is instead one persons perspective. My viewpoint on the death of Margaret Thatcher and the subsequent inquest into her legacy. It is a deeply personal standpoint and I don’t expect all to agree, but perhaps I hope they will be better able to understand my position. 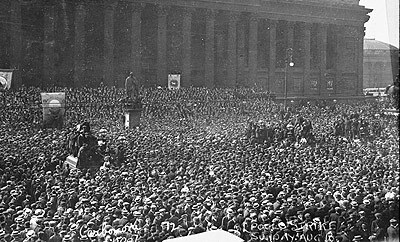 Following the death of “The Iron Lady” or “The wicked witch” depending on which side of the political fence you sit there have been jubilant celebrations in my home town of Liverpool. My phone buzzed relentlessly yesterday as the news broke, with friends and colleagues sharing the news. My Facebook page was awash with posts overwhelmingly declaring their utter delight that one of the most reviled Tory politicians in memory had finally bit the dust. My Twitter feed was equally vociferous. However, there were some dissenting voices. There were those who proclaimed “I’m no fan of Thatcher but you shouldn’t speak ill of the dead” and it has to be said one or two of her supporters voiced disgust at the revelry on display. In death Thatcher managed to divide as much she did in life. To the right wing of world politics Thatcher saved Britain from being the sick man of Europe and transformed it into a thriving free market economy based on personal freedom, self reliance – a property owning democracy. To people on the left (like me) she tore the country apart, throwing millions onto the dole, destroying communities, shifting the balance of power in society firmly in favour of the state and the employer. She famously said there is no society only individuals – chilling! This view point is diametrically opposed to the collectivist philosophy and culture I grew up with, and subscribe to today. I was born and raised in Liverpool. Specifically the Norris Green area. Today that area is synonymous with drug abuse and gun crime, but in the 70’s it was a community in every sense of the word. It was no paradise don’t get me wrong. The houses were badly in need of modernisation, and most were on low pay. My parents did wonders on meagre wages. However, they had jobs as did the parents of my friends. My Mum and Dad and our neighbours looked out for each other. there was an elderly lady who lived over the road, I remember them taking it in turns to check on her, I was asked to go and mow her lawn because she was too ill to do it herself. The next door neighbour would baby sit my sister and I at 6am until my mum returned from her night shift, allowing my Dad to go to work. My mum would then walk us to school with 4 or 5 other mothers and their kids. After school the streets were alive with school kids. We’d step out of line quite often, a ball would hit a window or someone would answer back when told off by a neighbour. If you went crying to your parents they would invariably tell you to apologise because you must have done something wrong if Mr so and so needed to tell you off. Think about that, it was the responsibility of the whole community to raise the children. My mum and dad demanded that I respect other adults and if anyone complained about my behaviour they would be assured that I would be dealt with. So I learned respect for my community and social rules. occasionally they would defend me when they felt I had been hard done by. So I learned the importance of fairness. There was such a thing as society in my world anyway, and what’s more it worked. It held us together, and kept order. There was self respect and dignity, and respect for each other. Again by no means a utopia but definitely a community, a society. Then came 1979. I was 11 going on 12, getting ready for the transition into senior school. I had no idea who Thatcher was, but I knew my Mum and Dad were not happy with her election. My Dad was a trade unionist in North West Water (Now United Utilities) and immediately saw what was coming. Suddenly friends were talking about their parents losing jobs. I had an uncle who delivered coal for a living until the early 80’s who just swore at the telly every time she appeared. we used to find it amusing, we didn’t really get his anger and despair. Suddenly I became aware the world was changing. Norris Green was changing. I had never heard of drugs until the early 80’s. A young lad from the area died of a heroin overdose it was all over the Echo (local paper) and radio stations. It was a huge deal then. How many headlines would a heroin overdose involving an ordinary kid from a council estate create today? Unemployment soared as did the number of kids on free school meals. There were protests at school closures and the removal of free school milk. today we have eerie echoes of the hounding of the unemployed viewed as de ja vu by those of a certain vintage. There were literally no jobs when I left school. 90% unemployment in Norris Green – yet we had to prove we were looking for work. Get on your bike said one of Thatcher’s right hand men (Norman Tebbit). I was at the job centre every day. Time and time again I would enquire about a vacancy advertised only to be told it had miraculously just gone. Fake jobs in my view. Paranoia? maybe, but I wasn’t alone with it. My home town was at war. many people accuse Liverpool people of “playing the victim”. Not so. Victims don’t fight back. Liverpool did. Riots in Toxteth, the city council joined forces with many to take on the Governments cuts. One by one the others crumbled and Liverpool was left standing alone. Instead of capitulating they stood firm. Ultimately defeated, to me they were a shining light of defiance when the official opposition (labour) was telling everyone to keep their heads down. There were other beacons outside of the city for me Scargill, Benn but without the backing of the wider labour movement they were woefully isolated. 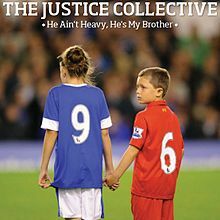 Most people I grew up with or worked with felt it was Liverpool against the rest of the country By the time the 80’s came to a close Liverpool (and to be fair countless other inner cities although I didn’t really appreciate that then) were fighting the Poll Tax, and a Government and media that viewed us the enemy within. These feelings of isolation were crystallised in the response of the state, the media and in particular Thatcher to Hillsborough. That convinced me and the whole city Red and Blue that we were on our own. To this day Liverpool fans chant “We’re not English We are Scouse”. I know many Blues who feel exactly the same. In many ways this sense of isolation strengthened our feelings of community and solidarity. 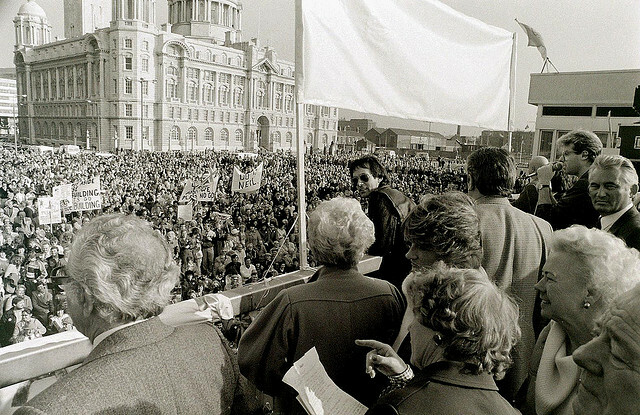 When the Dockers went on strike that sense of Scouse Solidarnosk was evident. Robbie Fowler and Steve McManaman displayed T=Shirts in support during a game. thousands was raised in support, and I remember donating food parcels to my aunt and uncle as he was out on strike. This was repeated in families all across the city. You didn’t question it you just did it because an injury to one is an injury to all. Perhaps that’s why the Liverpool Dockers were the last to go back when the strike was ultimately defeated. You see there is a society, and I am sorry Mrs Thatcher individuals are much stronger when they act collectively. I have always believed that in Liverpool Thatcher failed. She thought she had broken the city when she surcharged the left wing council that fought her on its own. Her cabinet recommended that she abandon the city to “managed decline”. But she failed. Today Liverpool is standing proud, rejuvenated, confident and defiant. A community, just as it always has been. Look to the reaction to the murder of Reece Jones, and the show of solidarity between the only two religions that matter in our city over the Hillsborough Independent Panel report. perhaps that’s why some chose to take to the streets in Liverpool to celebrate the death of Thatcher. Did anyone expect Liverpool to react any differently? Really? However, the greatest surprise for me was the reaction Nationwide. Brixton, Glasgow, Leeds also partied. Perhaps many more joined them, only a few media outlets reported the street parties that greeted Thatcher’s death. Harder to ignore will be the Wizard of Oz song hurtling up the charts as we speak. I was moved and surprised by the level of support Liverpool received from outside the city in the wake of the Hillsborough Independent Panel findings. In seeing the nationwide reaction to Thatcher’s death I realise that we were never truly on our own at all. Very Good Opinions. You should write more about this!